Carico’s Ultra Vac System is made of the perfect material, a high tech non-porous polycarbonate that withstands extreme fluctuations in temperature and is suitable for the microwave, freezer and dishwasher. Carico’s Ultra Vac System is portable, easy to use and takes up very little storage space. Carico’s Ultra Vac is a powerful innovation in food storage and can be used in many different ways. Carico’s Ultra Vac is durable and tough, with a strong vacuum seal that won’t break open or leak if you drop it. Carico’s Ultra Vac System is great for keeping moist foods such as cakes, cheeses and party dips from drying out. With Carico’s Ultra Vac System, you’ll have a fresh, home cooked meal whenever you want it. One of the most unique features of Carico’s Ultra Vac System is the Ultra Vac lids, an innovative, convenient lid system that allows you to turn any piece of cookware into a vacuum tight container, instantly! That’s right, you can now leave the left over’s right in the pan. Now there is Ultra Vac, the ultimate vacuum sealing, food storage system, exclusively from Carico. You can actually keep foods fresh up to 3 to 5 times longer with Carico’s Ultra Vac system. With Carico’s Ultra Vac System breads don’t get moldy. With Carico’s Ultra Vac System vegetables stay crisp and fresh. With Carico’s Ultra Vac System Cheeses stay moist and delicious. With Carico’s Ultra Vac System meats and vegetables marinate in minutes. Finally, a versatile, functional storage container. We are so happy that we own Carico's Vacuum storage system which has given our food longer shelf life, and goes from the freezer or the refrigerator to the microwave and is dishwasher safer. The variable sizes allows us to store dry goods, meats, cheeses, cereals, soups and a whole array of foods. This product should be in every kitchen! It is a perfect product for use on a boat, for a R.V. vehicle, and for a day at the beach, for it will keep all dry foods, dry and fresh longer! I have not found any product in the market similar to Carico storage container. This vacuum storage system is perfect to keep the food longer. My family uses these containers on daily basis; we carried it every where. my sales person told me that the ultra vac was indestructable. I drove over it several times with my car and he was right! It didn't break! it's great for marinating steak and chicken! Mmm. I'm going to go cook right now! Ultra Vac really preserves any food. I love their containers, I buy ham and cheese and they last at least two weeks or sometimes three weeks with the same fresh flavor and smell. I highly recommend this product. One of my sons is in the Air Force and he is currently stationed abroad. I send him care packages every week. Some of the items that I send him would not keep their freshness (coffee, creamers, candy, etc.). Not anymore! I bought a set of Ultra Vac containers with two air pumps. My son keeps one air pump and some of the containers with him. When I send him his weekly care packages, I always send him containers with the items that I want to keep fresh. At the same time, he sends me the empty containers that I sent him the previous week. I also use the Ultra Vacs at home to store ham, cheeses and various deli items. Last, but not least, I have the two Ultra Vac Cake containers which I use for fresh baked cakes and for bakery bought breads. Hola, soy Azucena Velasquez, mas conocida por Suzy. Trabajo en esta prestigiosa empresa por casi 4 anos. estoy en el departamento de cobranzas, soy colectora y me siento muy feliz de tener trato con personas de diferentes edades, mentalidad, educacion y costumbres. lo principal para mi es transmitirles que no tomen sus pagos mensulaes como una carga, sino con mucha simpatia, porque por la bondad de Carico Int. pueden gozar de sus beneficios y comodidades con los productos, ya sea cocinando, o sirviendo sus alimentos en esas finas y lujosas vajillas, o tomando el agua o duchandose con agua completamente purificada. es la compania Carico quien pago por esos productos por ellos, y a su vez ellos los estan pagando de poquito en poquito. Haciendoles sentir su responsabilidad les sugiero que su cumplimiento les ayudara tambien en su reoprte de credito. Yo tengo los bowls de Carico que los recomiendo a toda persona que trabaje, estudie, o en general que quiera mantener sus comidas en estos recipientes siempre listas para servir. Verdaderamente no son tan solo excepcionales sino EXCELENTESSSSSSSsssssssss!!!! 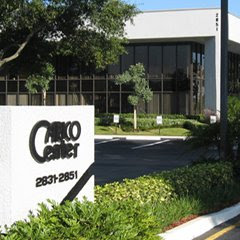 I feel honored to be working in such a wonderful and solid company as Carico. It has been an awesome experience working with so many people that value and appreciate my work. Carico products are very useful, for example, the ultra vac are perfect for storing and keeping the food fresh like the first day you bought it. I purchased Carico Ultra Vac containers. I like them very much because they keep my foods fresh and they are easy to take care of. There is no more wasting food, I put the left overs in the containers in the freezer so anybody in my family can have a delicious meal anytime. I have lots of Carico products most of which have been given to me as gifts. My 2 favorite ones are the Waterless Cookware and the Ultra Vac’s. I like the fact the food cooks faster, tastes better and clean up is a breeze! My cookware still looks new even after so many years of use. What I like about Carico Ultra Vac is the fact that they can go from the freezer to the microwave then straight to the dishwasher. These products are great!! I’ve had Carico’s vacuum storage system for over a year. These containers are not just great keeping my food fresh for longer but they are also a safe way for you to preserve your food. I use them in the microwave and clean them in the dish washer, they still keep their good appearance and you do not see that deterioration of the plastic melting or peeling that other cheap containers have and that is very dangerous for your health. The material that these containers are made with remains intact so there are no dangerous substances or chemicals mixing with your food.